It’s back–at last! Buttonwood earned strong early buzz when it opened last year in Newton from the team behind nearby Sycamore and Little Big Diner. But only a few months into its run, an electrical fire forced the closure of the promising restaurant. Nearly one year later, doors have recently reopened–and the globally-inflected menu, which culls especial influence from Mediterranean cuisines, looks worth the wait. Welcome back, Buttonwood. Try this: Crispy, tamarind-glazed pork ribs—an original menu hit—have returned. But keep an eye out for new additions, such as a Moroccan carrot salad with golden raisins and spiced yogurt. Hot tip: Looking for a place that’ll please parent and child? At just $9, the nightly kids’ menu is a deal. We had been waiting with bated breath for Top Chef alum Karen Akunowicz to launch her first self-owned venture in South Boston. (To be fair, the James Beard award-winner only left her Myers+Chang post last June; we were just, like, really eager.) 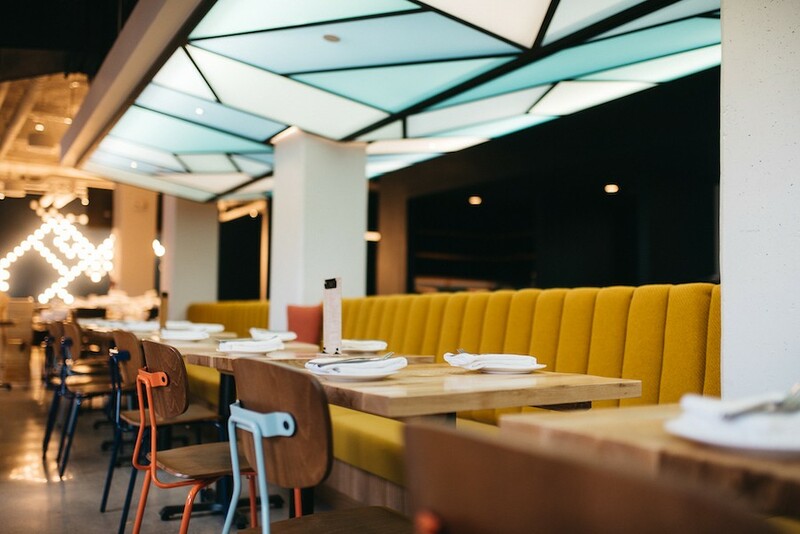 Her enoteca finally opened in February, and the 80-seat, aperitivo-oriented hangout is definitely proving popular with those seeking interesting wines and exciting Italian plates. 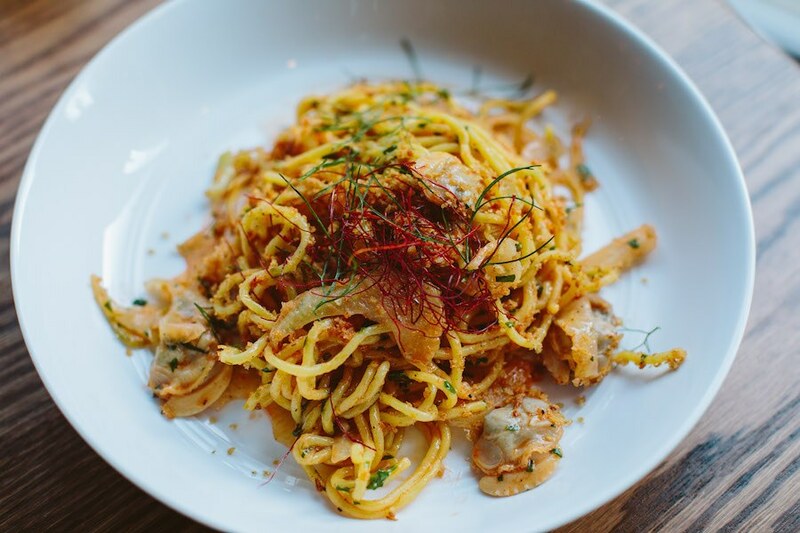 Try this: Akunowicz perfected her pasta-making skills while working in Modena, Italy, and it shows with selections like the spaghetti with clams, spiked with vibrant saffron. 28 W Broadway, Boston, 617-766-8630, foxandtheknife.com. 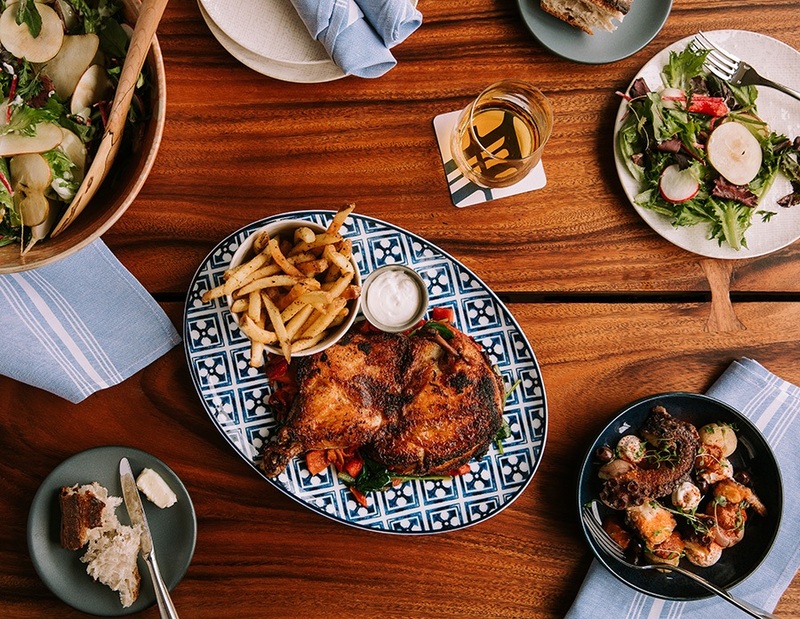 A (very deservedly) popular Cuban restaurant in Waltham has spawned an even larger, two-floor sibling near Cambridge’s Porter Square. Opened last month in the space that formerly housed the Elephant Walk, Gustazo is turning out dishes new spins on menu mainstays, like tostones tacos filled with braised duck, plus a full cocktail program (unique to this location) highlighting rums and devised by lauded local bar guru Sam Treadway. We’re grateful to have Gustazo even closer to home. 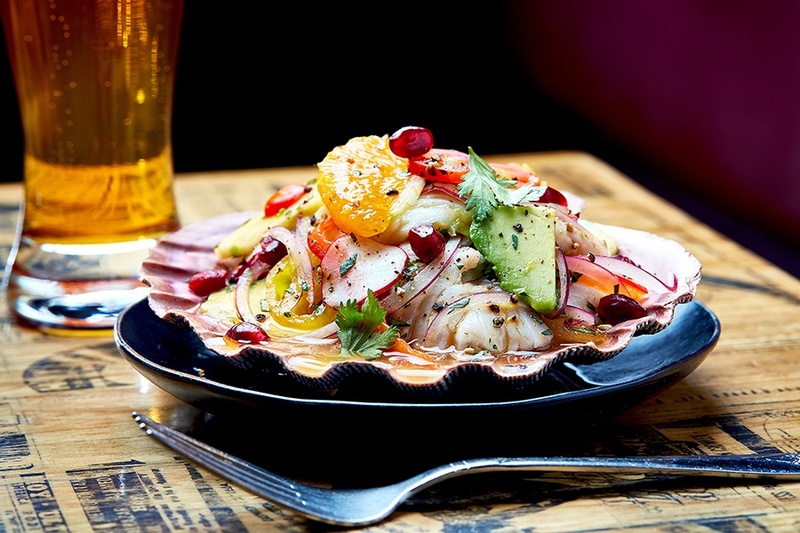 Try this: Super-fresh ceviche is light, bright, and feels perfect for springtime. Hot tip: Keep on eye on Gustazo’s social media. Its Best of Boston award-winning brunch isn’t yet available in Cambridge, but will be within a few months. 2067 Massachusetts Ave., Cambridge, 617-714-5267, gustazo-cubancafe.com. Every few months, the kitchen—sorry, “culinary incubator”—at Wink & Nod welcomes a new chef to parlay an entirely different concept. It’s an inventive idea, and definitely keeps the South End cocktail lounge and restaurant feeling fresh. April saw the arrival of Hush, an eclectic, small plates-oriented pop-up from chef David Daniels, and plenty of the fancy-gone-funky dishes sound destined for strong word-of-mouth: Black truffle chicken nuggets, anyone? 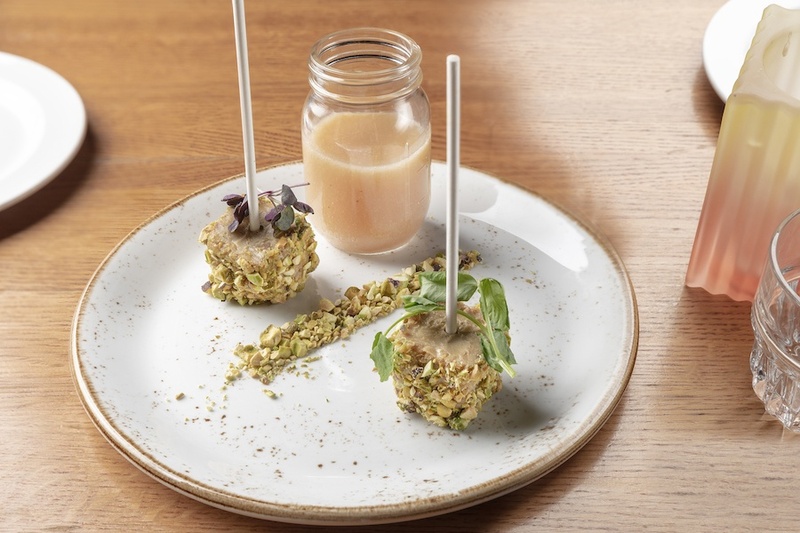 Try this: As inventive presentations go, it’s hard to beat the lollipops of decadent foie gras, rolled in pistachio crunch and ready for dipping in a Georgia peach jam. Hot tip: Boston Nightlife Ventures, the team behind Wink & Nod, is also planning something for the (now-vacant) neighboring space on Appleton Street. It’ll soon become a South End location of Southern Kin Cookhouse, currently found at Somerville’s Assembly Row. Downtown has scored a sleek—and sizable—new option for Japanese cuisine. Kamakura comes from chef Youji Iwakura (previously of Basho and Uni, among others), and spreads itself over three levels: from a ground-floor kaiseki bar offering two nightly seatings (5:30 and 8 p.m.) for elaborate tasting menus, to an all-seasons rooftop lounge (named Kumo) for sipping sake while surrounded by stunning city views. We’re glad Iwakura went so big for his debut self-owned venture. 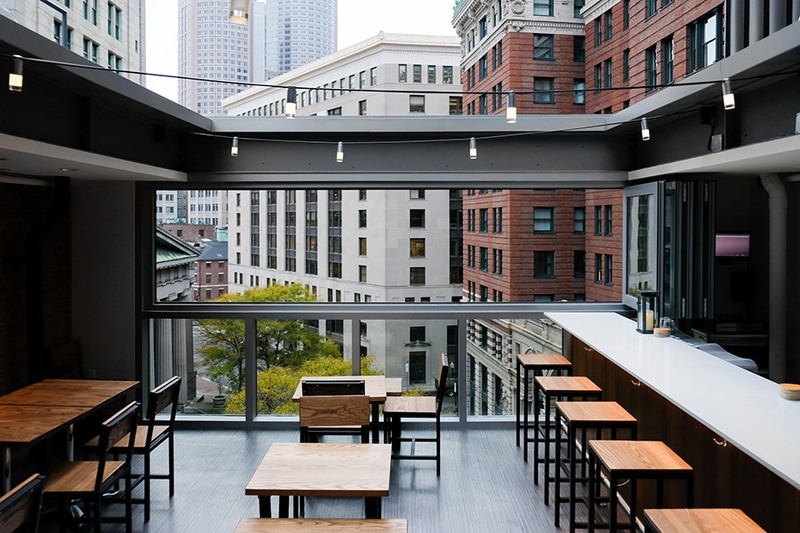 150 State St., Boston, 617-377-4588, kamakuraboston.com. Chef-owner Michael Scelfo has completed a Harvard Square hat trick with the recent opening of Longfellow Bar, a two-floor hangout—with seasonal roof deck—housed above his flagship restaurant, Alden & Harlow. (Its seafood-focused sibling, Waypoint, is just a few blocks away.) 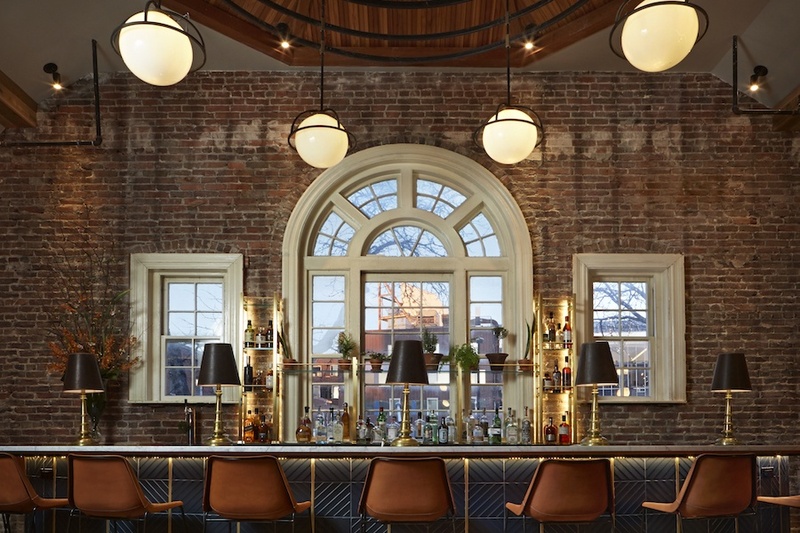 Emphasizing elevated finger foods and killer cocktails, Longfellow is the perfect place to stop for sophisticated shared snacks or a date-night drink— especially in the gorgeous upstairs, with its soaring vaulted ceiling. Try this: Scelfo has offered a burger at each of his restaurants (and in fact, you can order Alden’s Burger here, too). Longfellow’s Burger may just be his best, a super-juicy beef patty topped with fermented Nardello peppers, grilled onions, and a tangy Tillamook cheddar spread. Hot tip: Guests can reserve the three-seat chef’s counter with an inches-away view of the small kitchen— and if they do, Scelfo may just let them choose which records to spin for the night’s soundtrack. Cheers to the Everett-based craft beer-maker for getting adventurous and experimental at its just-opened brewery, taproom, and restaurant on Boston’s West End waterfront. Co-owner Michael Oxton alread told us that the Lovejoy Wharf location will focus on making small-batch beers, most of which will be unavailable elsewhere; they’ve also started roasting their own coffee for an all-day cafe component, and unleashing a creative full-service menu that baits diners with beer-infused food (say, pulled pork with a sour ale barbecue sauce). Try this: Every brewpub needs a burgers, and Night Shift satisfies by topping its beef patty with bacon and beer cheese made with its Nite Lite lager. Hot tip: Keep an eye out here for updates on the return of the Owl Nests, Night Shift’s seasonal series of pop-up beer gardens. 1 Lovejoy Wharf, Boston, 617-456-7687, nightshiftfamily.com/brewing. 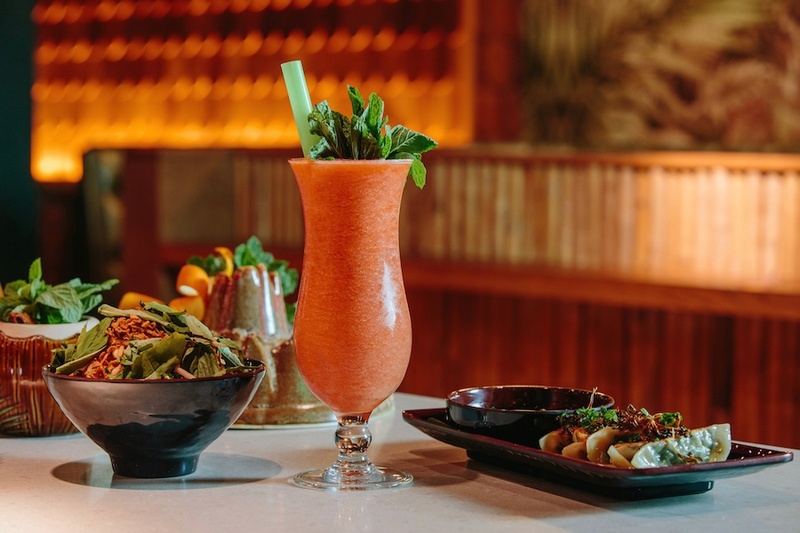 Chef Colin Lynch and beverage director Ryan Lotz have graciously given the South End some tropics-inspired territory to find Tiki cocktails and cuisine that take ideas from the Pacific Rim: Thailand to Hawaii, Vietnam to the California coast. It’s a subterranean sanctuary located across the street from sibling spot Bar Mezzana, covered in jungle-evoking wallpaper and featuring tons of bar space for sipping on communal cocktails in funky mugs and other vessels. Try this: Tandoori fish collar, large enough to serve two, finds the splendidly spiced fish cooled with silky yogurt and balanced by the awesome acid of pickled mangos. Hot tip: Surprise! Shore Leave is home to a “secret” sushi bar, No Relation, offering omakase at just nine ticketed seats. Check it out. North End restaurateur Nick Frattaroli brings fresh energy to an oft-old-fashioned neighborhood. 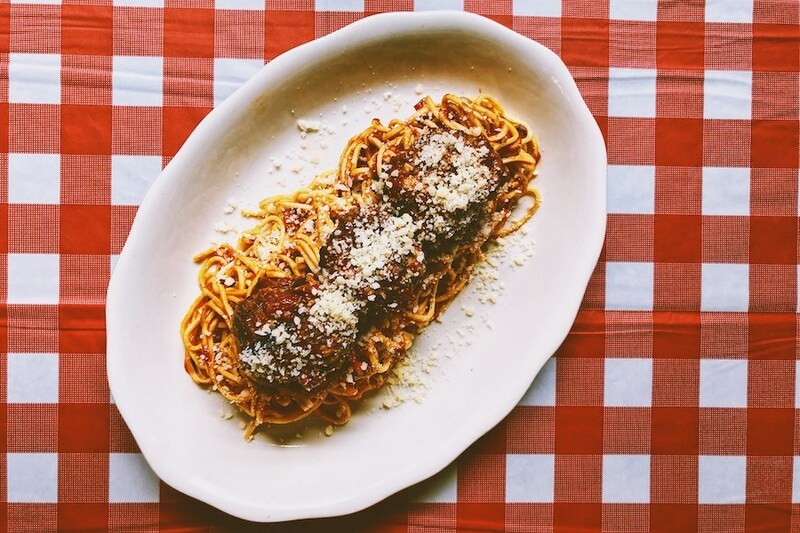 Frattaroli’s latest, named for his parents (longtime local servers), tosses a vintage-kitsch filter over a snapshot of a traditional, red sauce-soaked Italian-American joint. The result is a fun destination for the kind of nostalgia-inducing comfort food nonna does best–but chef Eric Bunogurio delivers darn well, too. Try this: The meatballs took top honors in their category at the North End’s last Fisherman’s Feast. Hot tip: The reception to Tony & Elaine’s has been so positive, Frattaroli will take inspiration from it when he reopens his (temporarily-closed) restaurant North Square Oyster this spring. It’ll be a more elevated version of Tony & Elaine’s, according to a rep for the restaurants, focusing on Italian seafood but still stocked with an array of approachable favorites. 111 N Washington St., Boston, 617-580-0321, tonyandelaines.com.